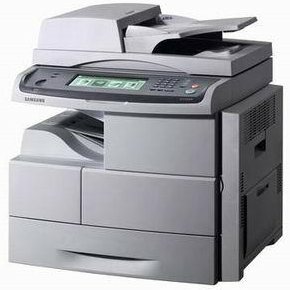 The Samsung SCX-6345 is a multifunction laser copier, printer, fax machine, and color scanner in one, but the latter three functions can be optional, depending on the needs of the buyer. Users will benefit from fast speeds of up to 45 pages per minute, with the ability to handle multiple tasks at once, and with high-capacity Samsung SCX-6345 printer toner available, it offers cost-effective operation as well. The SCX-6345 also goes by the model name of SCX-6345N, and the SCX-6345NJ is simply the UK equivalent, all with the same features and capabilities. Highlights include a large touchscreen display that makes menu navigation simple, though it is a monochrome display. The printing engine utilizes Samsung SCX-6345 toner to create a 1200x1200 dpi maximum resolution for very sharp output quality. The first page out time is fast, in as little as 5 seconds, and print time is around 8 seconds, even from standby mode. With the scanning function added, users can send documents via email, to avoid using up the supply of toners. There is also a TonerSave mode to help cut costs as well. The standard paper supply starts out very modestly, with a 520-sheet main cassette and a 100-sheet multipurpose tray, with the option to add up to three more 520-sheet cassettes to quadruple its capacity. 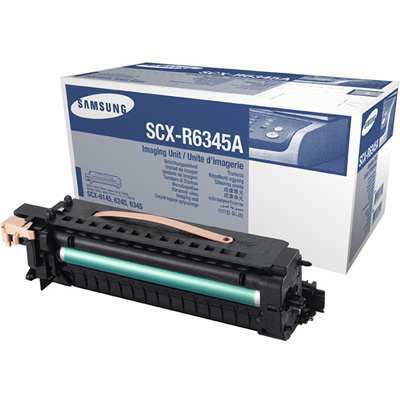 Where the real savings comes is in the low cost per page of Samsung SCX-6345 toner cartridges. 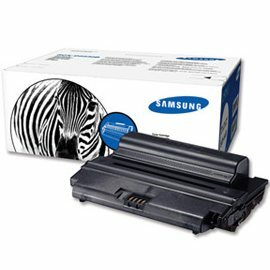 With a capacity of up to 20,000 pages each, the Samsung SCX-6345 toner cartridges will go a long time between replacements and their cost per page is well below one cent. For the small office on its way to bigger and better things, or the larger office that wants to deck it out with upgrades right away, the Samsung SCX-6345 is a versatile choice. Its low supply costs and fast speeds are a great combination for almost any office.